At the corner of 15856 Sherman Way , Van Nuys, 1926. 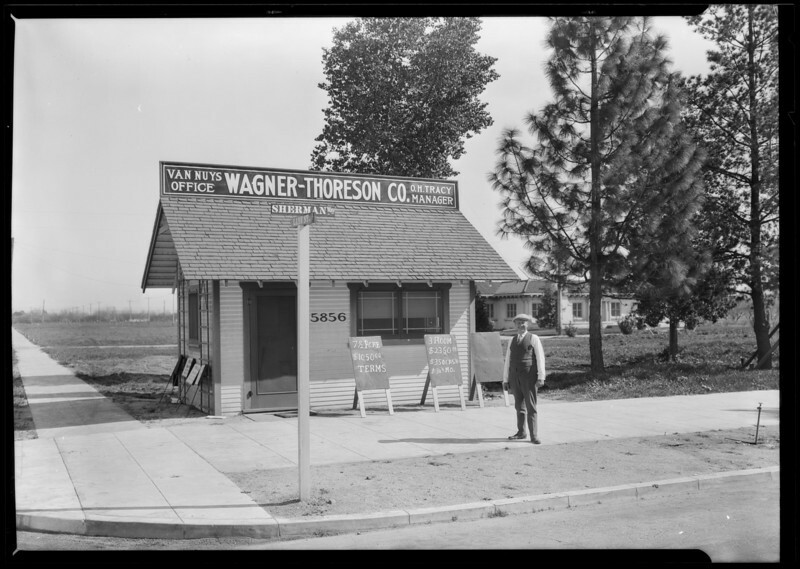 Wagner-Thoreson appears to be a real estate broker and they are offering one property, a 3-bedroom house at $2350 and another sign advertises 7.5% terms with $1,050 down. This area today is west of the 405, and just east of Van Nuys Airport.